Net Promoter ScoreSM (NPS®) is the most popular customer experience metric measured by companies around the world, however many NPS programs don’t translate through to the desired gains. Let’s look at several tips and traps in NPS deployments. NPS uses a scale of 0 to 10 to divide customers into one of three groups: detractors (0-6), passives (7-8) and promoters. NPS is calculated by deducting the percentage of Detractors from the percentage of Promoters. The score is based on the customer’s likelihood to recommend to family or a colleague, and is a predictor of customer loyalty and retention. 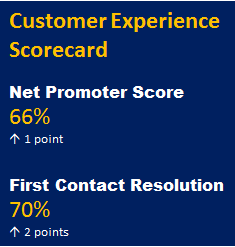 One of the first traps that executives fall into is to confuse transactional NPS (for example, how a customer rates their just-completed service experience with a contact centre), with enterprise NPS (which surveys the customer on their total relationship with the company). Often there is a disconnect between the two scores, and the reason is that enterprise NPS is influenced by many factors outside the control of the sales and service department. A poor NPS at the enterprise level may not mean the contact centre is performing poorly at all. In fact in many cases, it is a result of dissatisfaction with the company’s product – pricing may be too high, quality may be poor – or negative brand perception. The tip here is to be very clear with customers what you are asking them to rate you on. Depending on which channel you use to measure NPS, the results will be quite different. A live survey by phone, for example, will elicit a more positive score than an email survey due to the anonymity of the latter. Further, scores vary based on culture, giving rise to issues with a global company comparing its NPS results in different markets: some cultures are harsher than others in their assessment of service experiences. NPS surveys ask a single question, which is both compelling in its simplicity, but potentially frustrating in lack of detail. We need to know why our customers are detractors, therefore supplementary questions are recommended so we can take actions based on insights. If a company has a high-performing workforce in its contact centre, the NPS may look deceptively more positive than it should: talented agents can use their interpersonal, soft skills to “turn around” unhappy customers, masking poor processes and product issues, yet eliciting high net promoter scores. This is one of the reasons companies should not rely solely on NPS as a customer experience metric. It is important to also monitor live customer interactions and look at other metrics such as customer effort, which measures how easy it was for the customer to get their query resolved. On the flip side, transactional NPS may appear more negative than it should due to the frontline not being truly empowered to resolve a customer’s issue on first contact. This may be due to an overly authoritative management style, inadequate knowledge management systems, or broken processes in the back office. Always remember to dissect your NPS results if they don’t seem to add up, and do a health check against correlating metrics such as Customer Effort, before pointing the finger at Customer Service! If you require help designing your NPS program or Customer Experience Scorecard, please contact us.